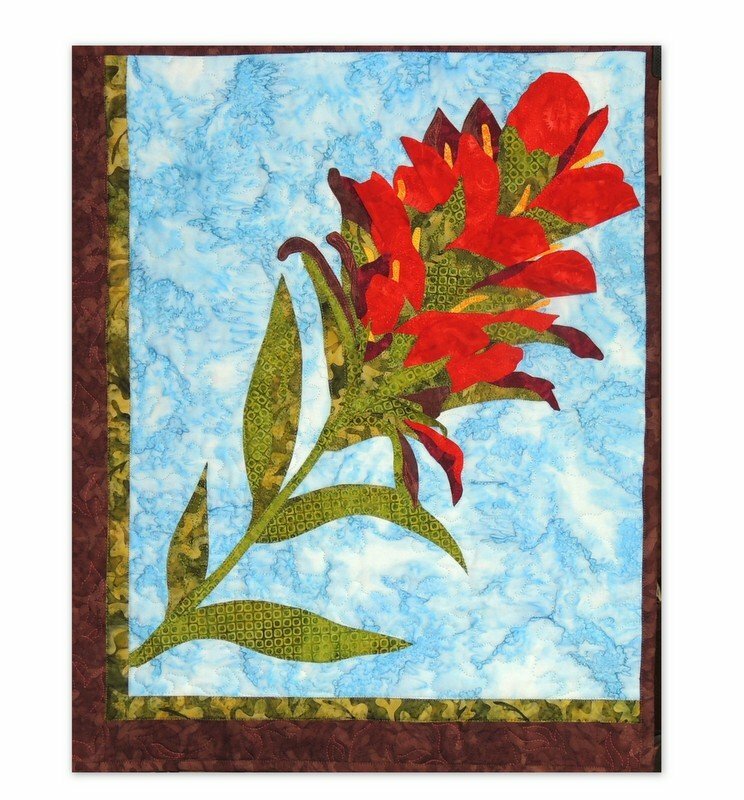 Have fun making your own beautiful garden of wildflowers with this fusible applique pattern--included in the instructions are directions to make a 3-D version with the fun product Terial Magic! The Indian Paintbrush (also known as Prairie Fire) can be found along stream beds and in the meadows of the West from April to September and is also the state flower of Wyoming. The plant was used medicinally by Native Americans as well as a hair wash to give their hair both body and shine.